If a Soldier shoots it, drives it, flies it, wears it, communicates with it, or eats it – AMC provides it. U.S. Army Materiel Command (AMC) is the primary provider of materiel to the United States Army. The Command's mission includes the management of installations, as well as maintenance and parts distribution. It was established on 8 May 1962 and was activated on 1 August of that year as a major field command of the U.S. Army. Lieutenant General Frank S. Besson, Jr., who directed the implementation of the Department of Army study that recommended creation of a "materiel development and logistics command", served as its first commander. AMC operates depots; arsenals; ammunition plants; and other facilities, and maintains the Army’s prepositioned stocks, both on land and afloat. The command is also the Department of Defense Executive Agent for the chemical weapons stockpile and for conventional ammunition. AMC is responsible within the United States Department of Defense for the business of selling Army equipment and services to allies of the United States and negotiates and implements agreements for co-production of U.S. weapons systems by foreign nations. AMC is currently headquartered at Redstone Arsenal in Huntsville, Alabama, and is located in approximately 149 locations worldwide, including more than 49 American States and 50 countries. AMC maintains employment of upwards of 70,000 military and civilian employees. The 2005 Base Realignment and Closure Commission decision relocated AMC to Redstone Arsenal in Alabama. Personnel began relocating to Redstone in 2006 and the command was completely relocated by summer 2011, affecting one in every six AMC employees across the command, or approximately 11,000 people in 25 states. AMC was previously (since 2003) headquartered on Fort Belvoir, Virginia. Before that (1973-2003), AMC was headquartered in a building at 5001 Eisenhower Avenue in Alexandria, Virginia. Prior to Alexandria, AMC was headquartered at what is now Reagan National Airport. 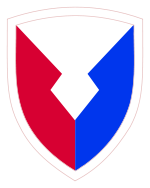 Between January 1976 and August 1984, AMC was officially designated the United States Army Materiel Development and Readiness Command (commonly referred to as DARCOM). CCDC (formerly United States Army Research, Development and Engineering Command) completed its transfer to United States Army Futures Command on 3 February 2019, which operates research and development engineering centers; Army Research Laboratories supports the centers' activities. ^ "U.S. Army Materiel Command Band". U.S. Army Materiel Command. Retrieved 25 September 2013. ^ "AMC in the Seventies: a decade of celebration, change". army.mil. Retrieved 7 April 2018. ^ "Records of the United States Army Materiel Command". archives.gov. 15 August 2016. Retrieved 7 April 2018. ^ "Previous AMC Commanders". Historical Office. U.S. Army Materiel Command. Retrieved 25 September 2013.